Welcome to this Spacious 2 Story Home on 1/3 Acre in 'Barrington Ridge'. Features over 2,500 sq.ft. PLUS Full Basement for Plenty of Storage & Future Rec Room. Greet Guests in the Large Foyer, Entertain in the Great Room with Vaulted Ceilings and Beautiful Fireplace. Updated Kitchen with Granite Countertops Eating Area and Plenty of Storage. This Home Boasts of 3 or 4 Bedrooms, Master Suite with Vaulted Ceilings and En Suite With New Flooring, 3 Full Baths, Office with Built-In's and Wonderful Paver Patio with Pergola. The Home Has Been Meticulously Maintained and Has Many Major Updates Throughout! Fabulous Location & Neighborhood. Close to Shopping and Easy Access to Major Roads, This Home is a Rare Find in Today's Market. Come See Why 318 Weatherburn Dr. is a Great Place to Call Home! Directions:Barrington Ridge is east of Watkins Road. Turn onto Barrington Ridge. Take a left a 1st street and then Weatherburn is the 1st street on the right. SchoolsClick map icons below to view information for schools near 318 Weatherburn Drive Pataskala, OH 43062. Home for sale at 318 Weatherburn Drive Pataskala, OH 43062. Description: The home at 318 Weatherburn Drive Pataskala, OH 43062 with the MLS Number 219003377 is currently listed at $259,900 and has been on the Pataskala market for 73 days. 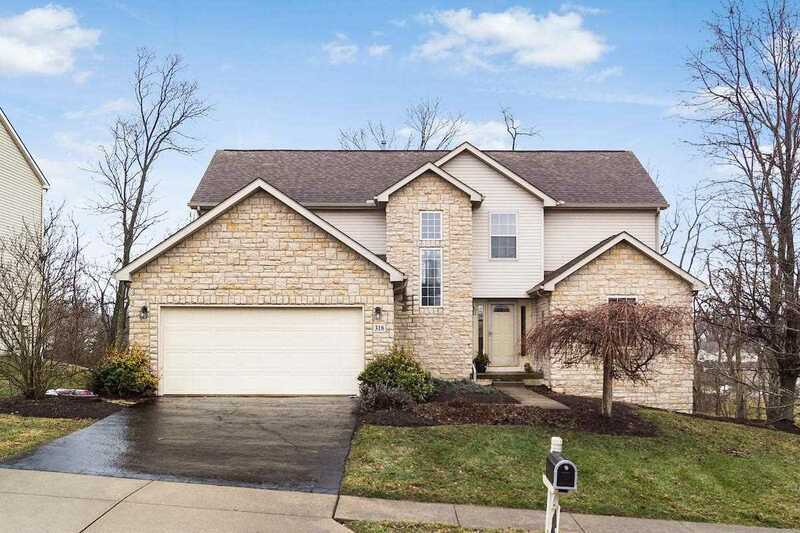 You are viewing the MLS property details of the home for sale at 318 Weatherburn Drive Pataskala, OH 43062, which is located in the Barrington subdivision, includes 4 bedrooms and 3 bathrooms, and has approximately 2508 sq.ft. of living area.